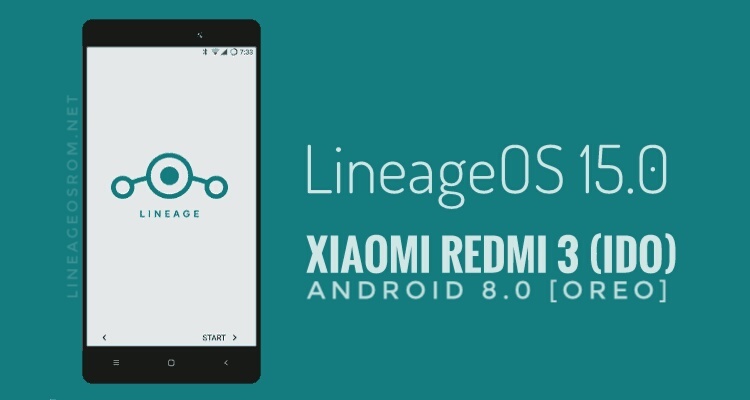 This is LineageOS 15.0 is built for Xiaomi Redmi 3 codenamed ido meaaln it will compatible for both Xiaomi Redmi 3 (2/16) and Xiaomi Redmi 3 Pro (3/32). ROM OS Version: 8.x Oreo, ROM Kernel: Linux 3.10.x. LINEAGE OS 15.0 for Redmi 3 features wich is currently working are: Boots, RIL (Calls, SMS, Data), Fingerprint (FPC1020 sensor only). Wi-Fi and Bluetooth also works fine. Camera as a main features is working including the flashlight. Video Playback and audio works too. But HDR mode for camera is still in glitch or not functional. Else, goes well with another features like Sensors, LED and GPS on this unofficial build. Dowload ROM build lineage-15.0-20170917-UNOFFICIAL-ido.zip here And you can use any Android 8.0 Oreo compatible GAPPS If you want to. As we also knowing that LineageOS is in development process so don't complain about your favourite features missing. Once more, don't. FYI, LineageOS 15.0 is a free, community built, aftermarket firmware distribution of Android 8.0 (Oreo), which is designed to increase performance and reliability over stock Android for your device.